The May 30 – June 5, 2016, edition of Brian Cormier’s Weekly Update is out! I don’t know many people who enjoy standing in line. It depends how comfortable it is, I guess. Sitting in a comfortable chair until your name is called is a bonus – but even then, things don’t move along as fast as I hope they would sometimes. I went to renew my vehicle registration the other day after procrastinating doing it online or by mail. Of course, I received the notice several weeks before it was due and I kept putting it off. I had no choice, then, but to stand in line with everyone else who’d waited until the last minute like I did. The trip didn’t start well because I was certain that I had my updated vehicle insurance card on me only to find out as I was walking into the office building that I had the old one that had expired a month ago. Not having a choice, I hopped back in the car and headed back home to dig around for it – swearing all the way there and weeping for the spectacular parking space right in front of the door that I’d scored – now completely useless as I drove away to fetch my forgotten document. Is there anything more tragic than a wasted great parking space? Where’s Sarah McLachlan singing “In the arms of the angels” when you need her? Anyway, I stomped into the house, tore apart a few piles of paperwork, found what I was looking for and stomped back outside with my little pink insurance card. I got in the car, slammed the door angrily and sped back to the government office only to find my parking spot taken by another vehicle. You’re dead to me now, awesome parking spot! Sarah McLachlan and her sad song can’t help you now! Finally, I made it through the doors and waited in line for a couple of minutes until I received my number from the receptionist. I sat down for what I expected to be about a one-hour wait. This is what happens when you procrastinate, folks! I could have been home getting work done or sneaking a mid-afternoon nap on the sofa. But no! 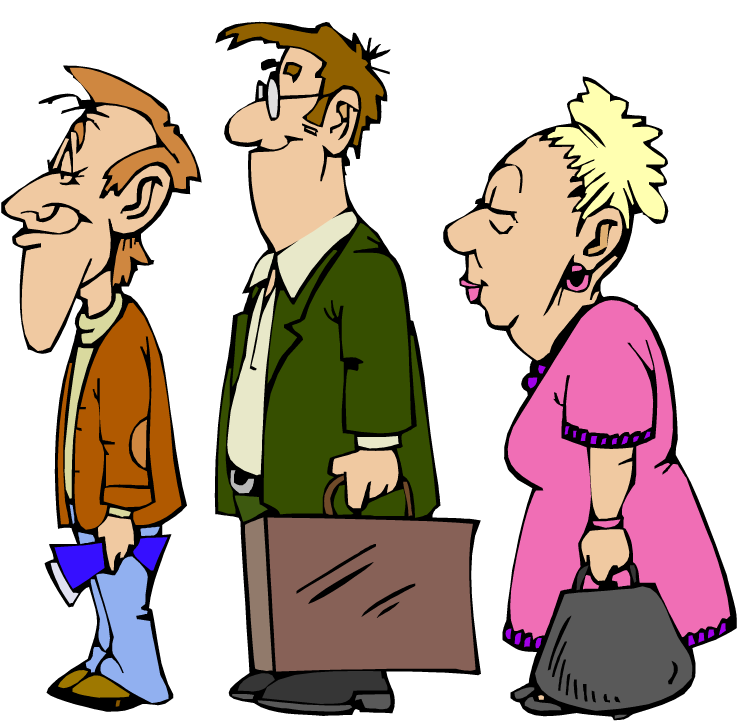 I believe there’s a special place in hell for people who leave a lineup without telling the receptionist. Why? Because their number isn’t cancelled and staff run around trying to find them to keep the line moving efficiently. A-1972, you know you who you are! I hope you’re happy! I was A-1978. So when A-1972 was called and no one was getting up to go to the counter, the electronic billboard kept posting the number. The clerk even called out the number verbally a few times. Over and over, A-1972 was posted and the line was held up in case they’d simply gone across the hall for coffee, went to the bathroom or stepped out for a breath of fresh air. Meanwhile, good ol’ impatient A-1978 here was huffing and puffing and watching the minutes tick away as we waited for the absent A-1972 to show up. I was hoping A-1972 would appear and claim they hadn’t heard the announcements, but alas, it became clear that they’d simply left. My quest to get this done quickly was first thwarted by my own disorganization and then someone else’s lack of courtesy. ‘Hurry up and wait’ seemed to be the theme of the day. I don’t know why I’d forgotten my long-held belief that whichever line I’d choose at the grocery store (or government office) would be the slowest one. I don’t even stress over it anymore. I just accept it. Sweet elderly lady in front of me with only one head of lettuce to pay for? Quick trip through the cash, right? Nope – a guaranteed ordeal as I come to find out that she knows the cashier’s mother and chit-chats with her for 20 minutes while I stand behind them sighing audibly with smoke coming out my ears. In the end, we can try to speed things along as much as we want, but the world isn’t necessarily on our schedule. We forget things. Other people get in our way. Things happen when they’re meant to happen – but that doesn’t mean we shouldn’t do our best to push things along. We all have places to go and things to do in life. Just be mindful of the person in back of you. Either get your act together and proceed or step aside to let that person do their thing. And if you ever decide to pull an A-1972, at least tell somebody so that the rest of the world doesn’t waste their time waiting for you. The May 23-29, 2016, edition of Brian Cormier’s Weekly Update is out! I had one of those surreal moments last week when you think, “This can’t be happening. You only hear about these things because they happen to other people.” But real life sometimes does indeed send along nasty surprises from time to time. My aunt hadn’t been feeling well and had recently been complaining of a sore back. The back issues had come and gone over the past few years. Physiotherapy helped a great deal, but a recent bout of pain that started suddenly was much worse than usual. Being my mother’s sister, my mother would keep in touch to make sure she was OK. She talked to my aunt on a recent Sunday evening and she was in pain but was going to call the doctor on Monday morning. The next afternoon, my mother called to say that my aunt wasn’t answering the telephone. I was extremely busy and just blew it off as either she was sleeping or in the bathroom or something of that nature. I said I’d go over at some point to see if she was OK. I called. No answer. Still not thinking anything was actually wrong, I took my good old time getting ready. I took the dog out to do her business. I did a few chores. I called again. No answer. Well, just in case, I should head over to her condo in Dieppe. She’d probably been nursing her sore back on the sofa when I called and couldn’t get to the telephone. I headed over to find the inside door open but the screen door locked. The car was in the driveway. The window beside the door was open to allow fresh air in. I knocked and then heard a weak voice faintly call out my mother’s name. Uh oh. This wasn’t good. I called in through the window and said it was me and that I’d come over to check on her. I asked where she was. “I’m on the floor. I can’t get up.” I looked down through the window only to find a couple of feet sticking out from behind the table. Come to find out that she’d suffered a back spasm and had been there since 9 p.m. the night before in front of an open window. It was about 3 p.m. the next day. Seeing how I couldn’t get in because the screen door was locked (don’t lock your screen doors, people!) and couldn’t get through the window, I called 911 because I only had a key to the inside door and was locked out – and also because my aunt clearly needed medical attention. She was awake and lucid, but obviously not in the best of shape after having been on the floor in front of an open window for 18 hours. In the middle of a particularly painful spasm, she had slid down the wall onto the floor to try to get the pain to stop. “Not the best idea,” she said afterwards. True, considering the pain was so bad that she couldn’t get up and also that she was far from the telephone in the other room. After I insisted, she went to the hospital. I’m happy to report that she’s now home and recovering. I just hope that the acute denial that something is wrong doesn’t run in the family. If paramedics and firefighters are staring down at you and telling you that you should go to the hospital, it may be a good idea to take their advice. I probably shouldn’t judge her, because I know I’d be the exact same way if it were me. I’d be sitting there holding my severed head on my lap while trying to convince the paramedics that it was only a minor paper cut. I guess we all try to act braver than we really are, but sometimes we just have to accept the help of others for our own good. I need to remember that, too. 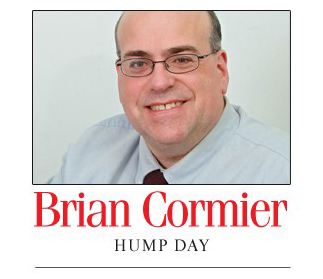 The May 16-22, 2016, edition of Brian Cormier’s Weekly Update is out!